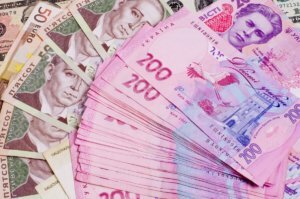 The total amount of wage arrears in Ukraine in November 2018 decreased by 2.2%, since early 2018 it grew by 19%, and as of December 1, 2018 amounted to UAH 2.819 billion, the State Statistics Service has said. According to its data, in November 2018, wage arrears at economically active enterprises decreased by 4.4% and on December 1, 2018 amounted to UAH 1.621 billion. The decline of wage arrears was recorded in Chernivtsi (by 38.4%), Zakarpattia (26.8%), Khmelnytsky (22.5%), Cherkasy (14.1%), Vinnytsia (11.7%), Ivano-Frankivsk (by 10.5%), Rivne (7.3%), Zaporizhia (6.9%) regions and the city of Kyiv (5.5%). At the same time, wage arrears in November 2018 increased in Kherson (by 30.2%), Zhytomyr (23.2%), Volyn (14.3%), Ternopil (10.3%), Sumy (5.7%), Kyiv (4.9%) and Poltava (4.3%) regions. According to the statistics service, in November 2018 arrears in payment of wages increased in the sphere of accommodations and catering by 28.5%, to UAH 4.163 million, arts, sports, entertainment and recreation – by 14.2%, to UAH 0.69 million, education – by 14.6%, to UAH 10.114 million, in the wholesale and retail trade – by 8.6%, to UAH 28.759 million, transport, warehousing, postal and courier activities – by 8.1%, to UAH 212.877 million, in the field of professional and scientific and technical activities – by 5.3%, to UAH 143.207 million, and financial and insurance activities – by 5.1%, to UAH 20.703 million. At the same time, debt has decreased in public administration and defense; compulsory social insurance – by 55.9%, to UAH 5.788 million, health care and the provision of social assistance – by 40.9%, to UAH 30.482 million, in the field of administrative and support services – by 14.4%, to UAH 9.416 million, information and telecommunications by 4.6%, to UAH 9.147 million, in agriculture, forestry and fisheries – by 4.1%, to UAH 23.15 million, and industry by 2.8%, to UAH 2.18 billion. The total amount of wage arrears in Ukraine in May 2018 increased by 3.5%, and as of June 1, 2018 amounted to UAH 2.561 billion, the State Statistics Service has said. According to its data, in May 2018 wage arrears at economically active enterprises increased by 6.5% and on June 1 this year amounted to UAH 1.411 billion. Wage arrears in May 2018 increased in Ternopil (17.5%), Zakarpattia (13.6%), Ivano-Frankivsk (11.8%), Kherson (9.2%), Sumy (7.9%), Zaporizhia (7.2%), Mykolaiv (6.2%), Kharkiv (5.6%) and Luhansk (5.4%) regions. At the same time, the decline of wage arrears was recorded in Volyn (34.2%), Chernivtsi (8.3%), Zhytomyr (3.6%), Poltava (2.9%), Odesa (1.4%), Rivne (0.8%) regions and Kyiv city (1.7%). According to the statistics service, in May 2018 arrears in payment of wages increased in the sphere of healthcare – by 12.1%, to UAH 23.9 million, industry – by 3.9%, to UAH 2.036 billion, construction – by 2.2%, to UAH 82.3 million and agriculture – by 7.7%, to UAH 17.4 million. 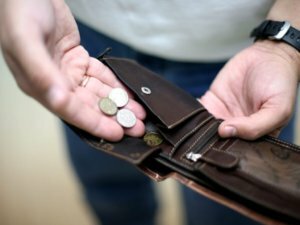 The wage arrears fell by 0.2% in the professional, scientific and technical activity, to UAH 113.4 million, in financial and insurance activity – by 0.5%, to UAH 17 million and in the sphere of arts, sports, entertainment and recreation – by 10.4%, to UAH 1.4 million.